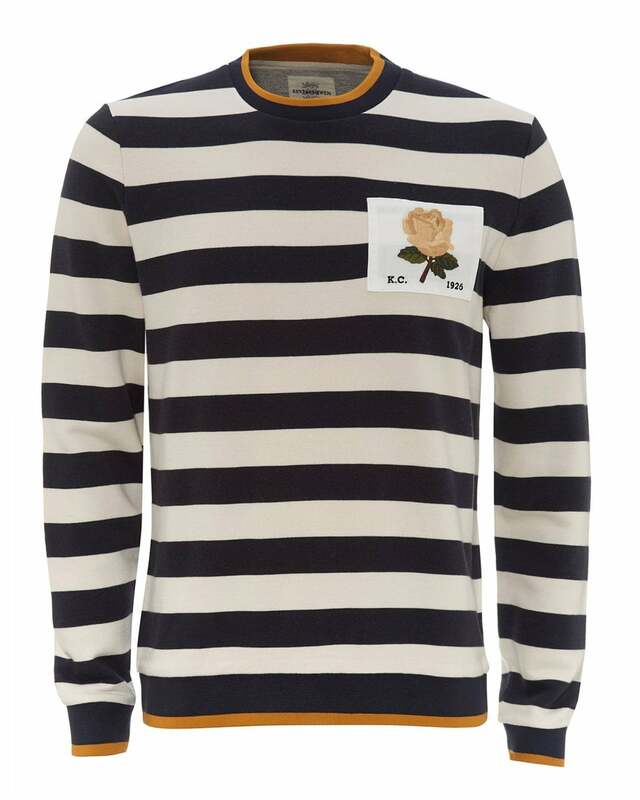 David Beckham's collaboration with Kent & Curwen keeps delivering extremely fashionable pieces such as this striped sweatshirt. Paying homage to the British heritage with the woven rose patch embroidered at the chest, the unique design on this piece makes it standout amongst regular sweats. Built from cotton and cut in a regular fit that doesn't disregard comfort, this piece is a key element in casual outfits.